Located in Baton Rouge, Louisiana, LSU is recognized as a Top 100 Public University by US News & World Report, attracting students from all 50 U.S. states and more than 100 countries. Only an hour away from New Orleans, Baton Rouge combines the comfort of a small city with a lively downtown, food and arts scene. LSU graduates include Oscar winners, world-renowned orthopedic surgeons, famous athletes, global architects, and more. 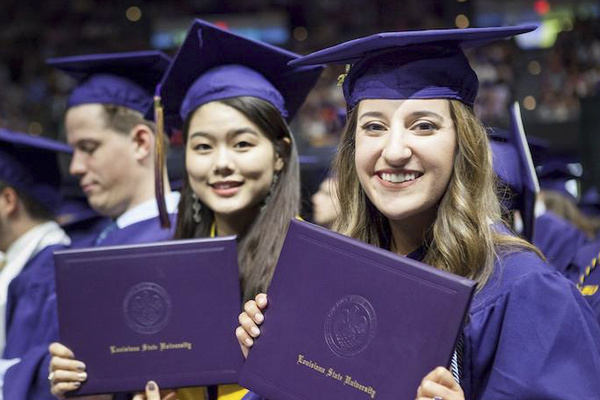 As an LSU alumni, you will have connections to top companies like Gerber, Kraft, Nestlé, Ralph Lauren, Vera Wang, DreamWorks Animation, CNN, Nike, Ernst & Young, Deloitte & Touche LLP, JPMorgan Chase, and Shell. The LSU alumni network stretches across the U.S. and around the globe, forever connected by the cheer “Geaux Tigers”! LSU is located in Baton Rouge, the capital of Louisiana. Baton Rouge means “Red Stick” and was named by French explorers in 1699. See below for a list of amenities near our campus.